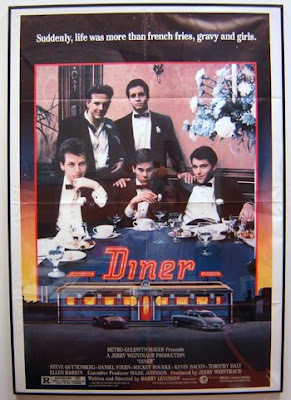 Beginning in high school—but especially when I was in college in the 1980s—I collected quite a few movie posters, many of them full size. Though most were of films I liked personally, there were also a few I purchased solely on the strength of the image or design. Over the years as I moved and got older (and married), many of these pieces were stored away in poster tubes. In recent years, however, as I gained more wall space due to a new home, studio and office, I began bringing out a few of my favorite pieces and framing them for display. At right is a real personal favorites–however, the poster wasn’t produced for the film per se, but rather for the sound track! (If you look at the list of credits, aside from the actors, the most prominent names listed are writer/director George Lucas, producer Gary Kurtz, and composer John Williams.) 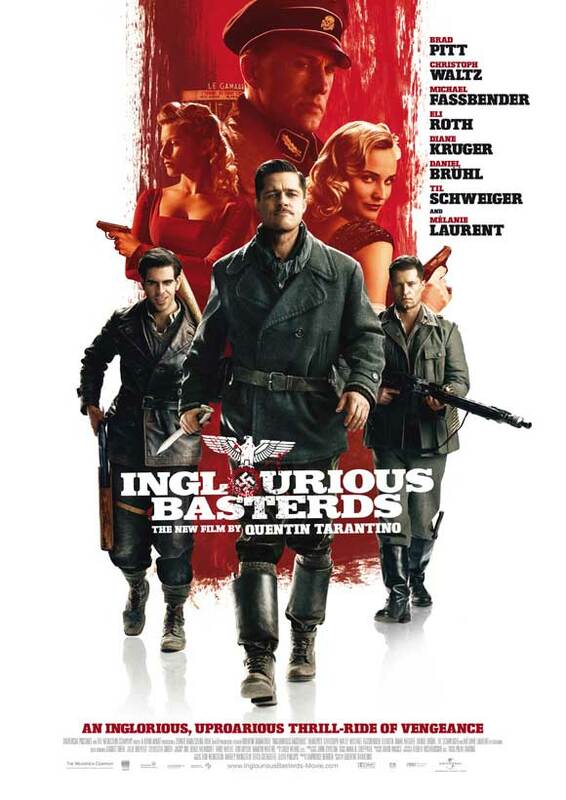 I presume the poster was released commercially purely on the strength of the art. If you look closely, it’s done in a trompe l'oeil style, and painted like a faded posterbill peeling off a plywood fence. 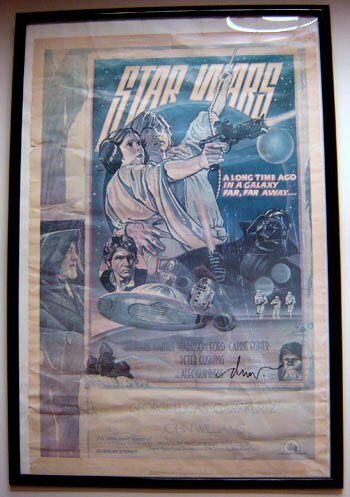 The poster is also significant because it is by artist Drew Struzan, one of the last of the great movie poster artists, responsible for iconic posters for the Indiana Jones films, Back to the Future, Star Wars, etc. 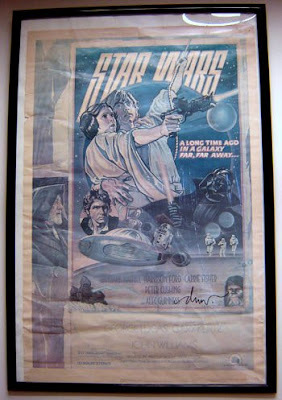 Years later, when I met the artist at a local cartooning event, I even got Struzan to autograph the poster—you can see his signature ("Drew") in the lower right, next to Chewbacca's head. Indeed, over the years as my college buddies and I have gotted married, it's become a tradition to re-create this pose at our weddings! This was one of my first poster purchases, based on both my admiration of the film and of the movie poster itself. The poster at right dates back to my high school days—it’s for Ralph Bakshi’s 1978 animated film adaptation of J.R.R. Tolkien’s Lord of the Rings trilogy. Unfortunately, Bakshi didn’t have the money to complete the entire trilogy, nor even to truly complete the film. Perhaps partly due to the lack of funding, the movie often relies too heavily on rotoscoping, to the point of the characters sometimes abruptly going back and forth from being on character and looking like poor photographic xeroxes. But regardless of what you may think of the film, I find this to be a simple yet evocative poster teaser that captures the atmosphere and mood of the trilogy. 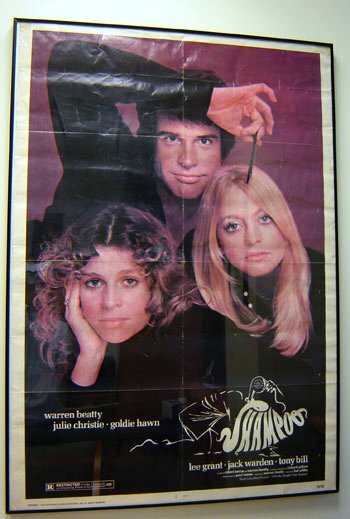 At left, is the poster for Shampoo. 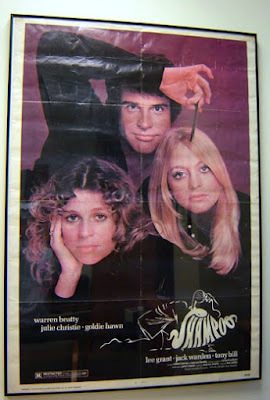 I believe the photo for this poster was taken by famed photographer Richard Avedon. 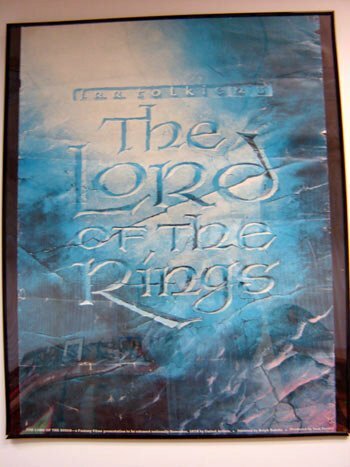 I've always admired this film, but I primarily purchased the poster for what I think is a very striking and eye-catching image. Over the years, there have been various attempts to bring Terry to the screen, which includes an unproduced screenplay by cartoonist/screenwriter Jules Feiffer and a version that the late actor Robert Culp tried to get off the ground (as recounted in this blog here). Because of the poster's odd size (about 12"x38"), I haven't yet framed this, but hope to one day! It's a wonderful piece that pays an homage to both the original series and, in the style of art, magazine cover artist J.C. Leyendecker! At right is the poster for a little-known/little-seen film, Hero at Large, starring John Ritter and introducing Anne Archer, from 1980. 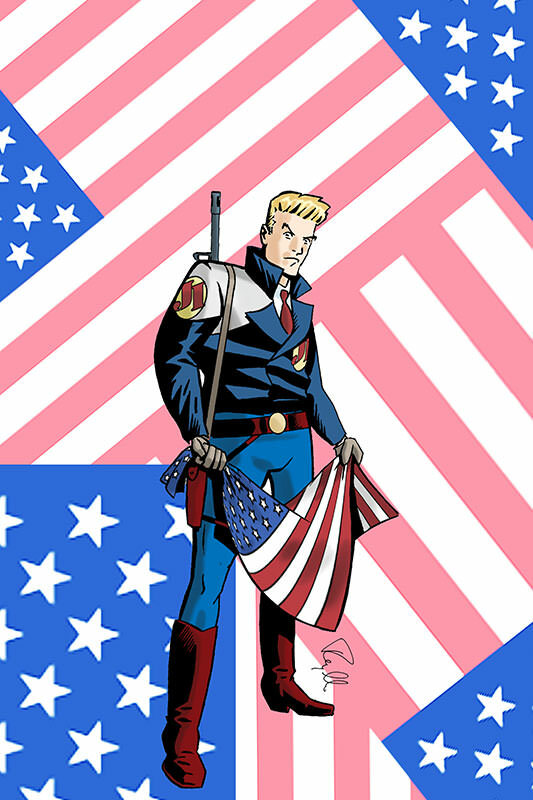 This is a very human-scale, romantic comedy about a struggling actor in New York named Steve Nichols (Ritter) who makes promotional appearances at movie theaters for a movie character based on a (fictional) comic-book character, Captain Avenger. One evening, Nichols serendipitously breaks up a robbery while in costume after a gig. After the media picks up the story and inspires the city, Nichols actually tries to begin fighting crime in costume. Archer plays Ritter's love interest. Obviously using the Christopher Reeves Superman films as a jumping off point, this otherwise is a very down-to-earth and human story that has a lot of heart thanks to Ritter's easy, likable charm.